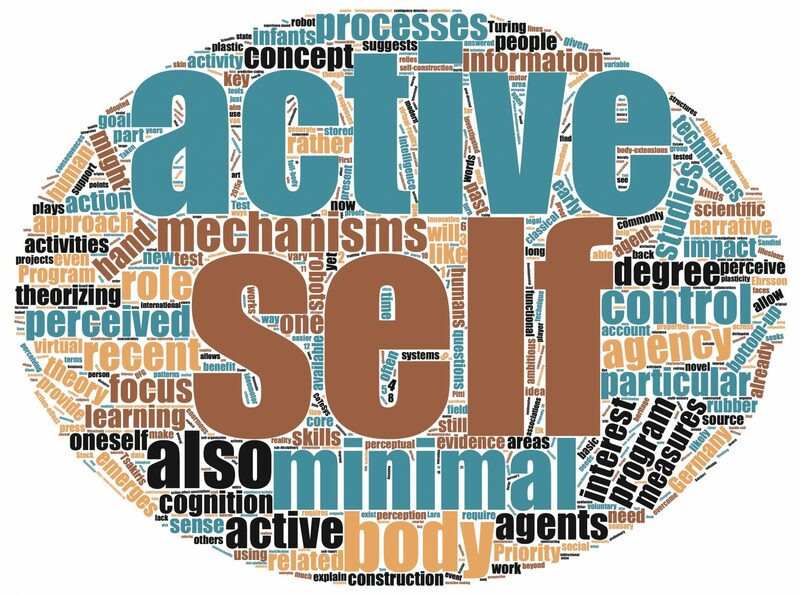 Researchers commonly identify two main phenomena as characterising a minimal Self in humans: the sense of body ownership – I feel corporal sensations as uniquely belonging to my own body – and the sense of agency – I feel being in control of my own actions. In this project, we will investigate the principles and prerequisites for the development of a minimal self from a developmental robotics perspective. We will study the computational processes that are necessary for multimodal sensorimotor predictions and adaptation to changing conditions during development. First, we will identify prerequisites and methods to provide basic skills for self-experience to artificial systems – such as the capability of the robot to detect its own body and to distinguish between self-generated movements and those generated by other individuals. We will investigate multi-modal (e.g. proprioceptive, tactile, visual and auditory) body representations and predictive capabilities – within a predictive coding framework – and their role in own-body perception. We will also investigate whether multi-modal self-perception increases cognitive abilities, for example self-other distinction skills. Secondly, we will investigate the adaptation of these processes while the artificial agent is undergoing sensorimotor experience and growing corporal conditions. In particular, simulation experiments will be carried out, where humanoid robots will be characterised by evolving morphological conditions that simulate growth and bodily changes in biological systems. Experiments on a real robot will be carried out as well with changing morphological conditions. We will evaluate our models within two different scenarios.